At the quarry face, equipment from leading suppliers such as Caterpillar, Volvo, JCB, Bell, Doosan, Hyundai, Liebherr, Komatsu, Case and Hitachi will be hard at work. Meanwhile, in the rock processing demonstration area, crushing and screening operations from Powerscreen, Sandvik, Terex Finlay, McCloskey, Baughans, Quarry Manufacturing & Supplies and a range of others will also be working. In addition, the Recycling Demonstration area will again be buzzing with the sounds of crushing, shredding, screening and washing equipment. Due to the nature of the event, please be aware that children under the age of 16 will not be admitted to the show under any circumstances. To avoid disappointment, we advise younger visitors to bring proof of age as ID checks will be in operation. 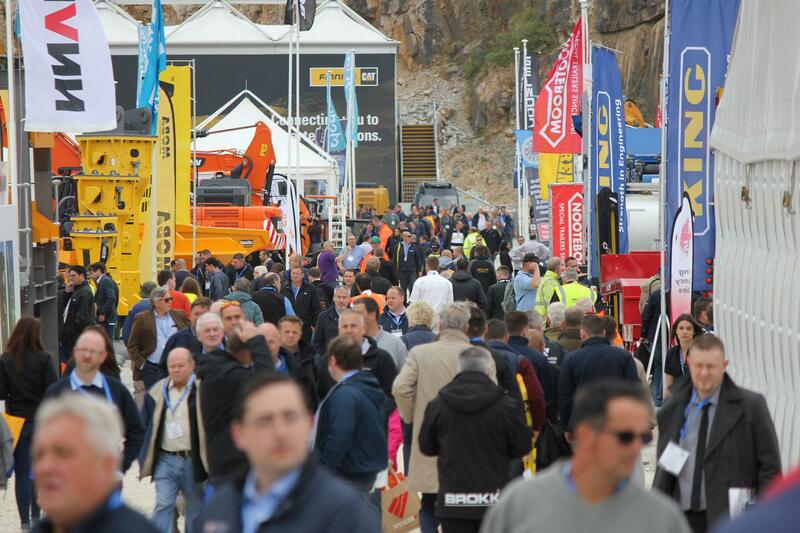 Due to the site conditions in the quarry, we advise disabled visitors or visitors requiring assistance to contact the organisers in advance so that the necessary provisions can be made.